This wedding was held at the Freehands Farm in Ashland, Wisconsin. After all of the events of the day we made a few portraits at sunset. 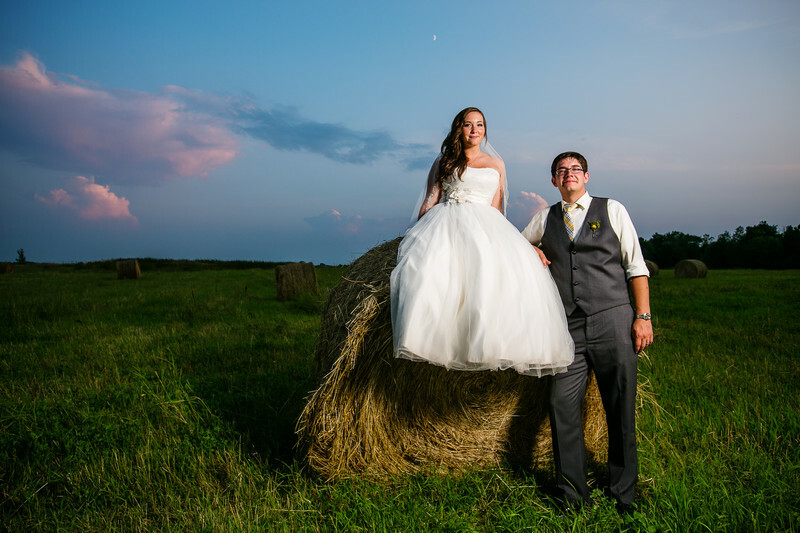 This hay bail was a convenient place to put the bride. 1/100; f/5.6; ISO 100; 23.0 mm.